Last year I wrote about a whistleblower from New England who took direct action to save a child's life and who paid for it with his freedom. 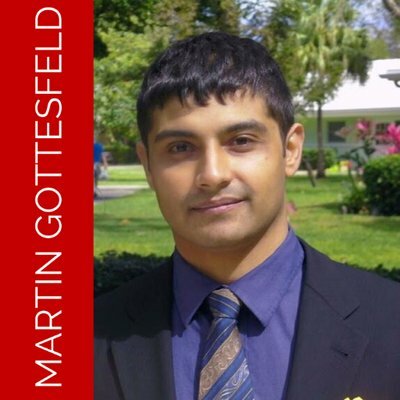 Marty Gottesfeld is now serving 10 years in prison for trying to save Justina Pelletier from abuse at the hands of her doctors at Children's Hospital in Boston. Her symptoms worsened over the course of the next 18 months until the pain was too much to bear. She began slurring her speech and was unable to stand. Finally, her parents took her to Boston Children's Hospital, a leading institution affiliated with Harvard University. It was there that doctors said Justina didn't have mitochondrial disease at all. They said she had mental illness and her symptoms were psychosomatic. They took her off her medications, but her parents refused to comply. When they went to take Justina home, they were blocked by hospital guards. The hospital took Justina into "state custody" and reported her parents to state officials for "medical child abuse." It was then that the case went off the rails. Justina was transferred to the hospital's child psychiatric ward, where her condition worsened even more. She could no longer stand or walk and her hair fell out. Her toenails were actually ripped out when hospital staff dragged her, accusing her of refusing to walk. Justina was allowed one 20-minute call per week with her parents, but that call was monitored by staff, and they were forbidden from discussing her care. She resorted to making crafts out of paper in which she embedded messages and sent them to her parents. One said simply, "I'm being tortured." Justina's parents sued Children's Hospital with the full support of the original doctor from Tufts. But the doctors at Children's argued that the only danger to Justina's health was her parents. They said that Justina had been over-medicated and that her parents had ignored her mental illness. A judge agreed, at least for the time being. That was until an investigation by The Boston Globe found that Children's Hospital had done this before, to other parents. Indeed, in the previous 18 months, the hospital had removed at least five other children from their parents for "medical child abuse," something that hospital staffers called a "parentectomy." The story drew the attention of Marty Gottesfeld, a computer-security expert. He was appalled at the treatment to which Justina and her family were being subjected and he decided to act. He initiated a denial of service attack against the Children's Hospital computer system and against the Wayside Youth and Family Support Network, where Justina was later moved. Children's complained that the attack cost the institution $300,000 to mitigate and $300,000 in lost donations because it took place during the annual pledge drive. But that attack also served to raise public awareness of Justina's plight and may have been the reason she was finally moved to a facility nearer her family in Connecticut. Justina's parents kept up the pressure on the hospital, the state, and the judge overseeing the case. Justina and her sister were able to smuggle out a 45-second video in which she implored the judge to let her go home to her family. It was clear that after 16 months in a psychiatric ward her problems were not "in her head." They were in her genes. The original Tufts doctor was right. Justina had mitochondrial disease. The judge finally reversed his decision and sent her home. Prosecutors, however, focused on Gottesfeld and he was soon arrested. His case was assigned to Judge Nathaniel Gorton, the same judge who oversaw the harsh case against privacy pioneer Aaron Schwartz, who eventually committed suicide under the weight of his spurious federal charges. Gorton is known as a hanging judge; he proved that with Gottesfeld's sentence. Gottesfeld has tried to make good use of his time since he entered the "justice" system. He has reported on waste, fraud, abuse, and illegality in the Justice Department; he's written about the corruption and conflict of interest of his judge; and he has spoken out against intolerable prison conditions. His punishment has been swift and severe. A CMU puts onerous controls on a prisoner's ability to communicate with the outside world. I was in a "modified CMU" when I was at the Federal Correctional Institution at Loretto, Pennsylvania. With a modified CMU, both my incoming and outgoing mail were read, scanned, and kept in the prison's Investigative Unit. My phone calls were all monitored in real time, and I was subjected to routine and regular "shake downs," where the guards confiscated whatever it was that I happened to be writing at any given time.